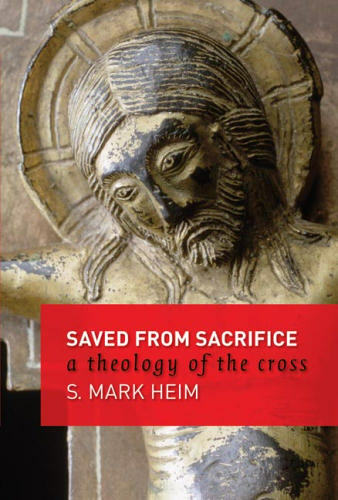 After spending the spring reading some missional literature, I’m finally getting to S. Mark Heim’s Saved From Sacrifice: A Theology of the Cross. Honestly, my tribe doesn’t talk all that much about atonement theories. We figure God saved us and we’re pretty happy with that. Anyway, I thought I’d share some of the more thought provoking comments of Heim’s as I work through the book. Note: My quotation of Heim does not necessarily mean that I’m endorsing those comments, but rather that I found them intriguing. Plus, they are out of context and at the outset of the book Heim is arguing various perspectives! 1. The Leader as Poet. 3. The Leader as Apostle. I read an interesting article last week written by Craig Groeschel, the pastor of LifeChurch.tv. LifeChurch.tv is an interesting place – several campus including one on the internet, but that’s not what interest me about Groeschel’s article in Leadership. Groeschel goes on to talk about the danger of this kind of behavior, but I want to chime in as well. I know many ministers who have been wounded deeply be churches and so-called friends in churches that have used knowledge of them against them in harmful and career ending ways. Unfortunately, this has lead many pastors to adopt the pastoral mystique out of necessity. But the flip side, I think, is more dangerous. I know too many pastors who approach their work and ministry in the detached, unaffected, dispassionate way that the pastor’s mystique eventually leads to and in each case it is hurtful to both the church and the gospel. It seems odd to me that pastors could preach and teach at churches for years and the congregation still not know them, yet it oftentimes happens. It seems strange to me that there are some pastors whose families are no more involved in the life of the church than some of the most scant attenders, though that phenomena is not unfamiliar in many churches. I don’t think pastors should work themselves into ulcers or that ministry families should be expected to be at and participate in everything, but surely if a pastor actually cares about a community how could they not be significantly engaged? I reject some – though not all – of the professinalisation of the clergy that has occurred over the past 30 years. I reject that as a pastor you can show up, complete the tasks of your work and not be significantly engaged in the life of the church. The reason is that communal life is part and parcel with living the gospel. The New Testament is replete with encouragement and suggestion that the Christian life is meant to be lived together and how can you preach and teach Scripture to a body and not live it out to the best of your ability. Just me thoughts. What do you think? I rented and watched “Saved” last week. It’s pretty tough on Christians, but says a lot about some of the Pharisaical behaviors that Jesus was pretty tough on too. If you haven’t seen it, rent it and watch it. If appropriate watch it with your teenage kids after you’ve seen it and can talk them through it. Is this religious persecution? The Germans won’t let Tom Cruise – and the Scientology that comes with him – film in Germany. Check it out here. Okay, I have to confess: I was generous in my review of Evan Almighty. The movie is just not that good! Now you all know. You can vote for the cover of Donald Miller’s new book. Click here. I love Miller’s book – at least the beginnings and ends are always good – so pick a good one. I think the family is important! I think that the family, particularly husbands and wives, are a great metaphor for the God’s relationship with humankind. The family is the backbone of so much in our world and time, resources and energy should be put into it. But, do you ever wonder if the family has become an idol, the object of Christian worship? Here’s what I mean: It seems that in the Christian world, the family is being held out as the focus of spiritual life. We hear time and again that good Christians have good families complete with kids who never get into trouble. Don’t get me wrong. I have two daughters and I’m VERY concerned about how they are raised and I’m hopeful that one day they will both own their own faith. But don’t we have to question whether or not Jesus died for something grander than us having good families? Don’t we all remember Jesus’ famous Sermon on the Family? One of my old professors, Jack Reese, used to say, “Jesus didn’t die so we could have good advice.” And to me, so much focus on the family (no pun intended) has turned the cross into a how-to method of having a great vacation with your kids. Plus, I’m not sure what a “good family” even means. My parents divorced when I was 15, yet still I’m in ministry working with people and families. My brother is getting married next month and he and his girlfriend are deeply committed to and involved with their church. By some people’s standards, our family is “broken.” Plus, what does all this emphasis on family mean for those people who take Paul seriously when he says it’s better to not marry. Or what do we do with the fact that Paul and Jesus were single? Not to mention those whose children have grown up and moved away. Is the church just a good tool to help us raise our kids? (And by the way, when Christians say “family” what they mean is “people with kids.”) And guess what, some of the best husbands and fathers I know aren’t Christians (or are nominal Christians without any real commitment to living in the way of Jesus). If we’ve cornered the market on how to do family well someone should tell these guys. Here’s my hypothesis: At some point, probably the late 60’s, we realized that people were deeply concerned about their kids as the world turned post-Christian. In response, we learned that we could grow churches by focusing on the family and telling folks that if they hung out with us we would help raise their kids, keep them virginal and off drugs (all good things, by the way). So that’s where our energy went. And in many ways this has been good for many people. The problem is that the family alone is not a big enough vision for the church. When we place the family at center of the church we hurt ourselves. It feeds on our fears and anxieties and into our consumerist tendency to have someone provide what we feel we cannot. Plus, it misses the missional nature of God. When we focus on the family, we focus on ourselves while the call of God is to embrace the other. At the same time, when we focus on our nuclear family over God’s family we undo the work of baptism which is partly designed to teach us that water is thicker than blood. When we are baptized, we claim the family of God, a family with folks who are different than us and across the globe and throughout time, as our primary identity. Baptism is a call out of the narrow world of thinking about those most like us and into a world most concerned with the missio dei – the mission of God – rather than the people under our roof. My hunch is that if parents were to call their children into that kind of kingdom perspective and living then much of the rest would take care of itself. Recently, I posted a blog about leaving churches. People leave churches for a host of reasons, but one of the saddest is when folks feel their spiritual vitality fail and fade into distress or nothingness. This happens for a lot of reasons – some legitimate and some illegitimate. I don’t want to go into all that, rather I want to put forth some helpful suggestions of how to remain and gain spiritual vitality (if that’s even a good way to say it) when and if your local church experience leaves you lacking. 2. Deeply Engage Spiritual Disciplines. If you’re a reader, a book like Marjorie Thompson’s “Soul Feast” is a good place to start to shape spiritual disciplines in your life. In the disciplines we find real spiritual life, rather than the pre-packed notions, assumptions, assertions, interests and agendas of pastors and church leadership structures. Plus, spiritual disciplines always lead back to Scripture. 3. Develop a Rule of Life. Thompson explains this well, but people need an explicit Rule to shape there lives. Hardly anything good happens by accident! If you want spiritual vitality you have to put forth intentional effort. 4. Find 2 or 3 People to Covenant With. Folks have done this through prayer groups, accountability groups and very small study groups. Each of us needs a place and people who will walk with us. This means we have to be fully open to others, sharing our lives and our very selves with them. 5. Find Great Podcasts. This is HUGE for me. There are some pastors and teachers whom God uses to speak to me, so I subscribe to their sermon podcasts. Plus, it’s a good use of traffic-sitting time. 6. Re-imagine Church. Can church be in your home with good friends and seekers? In coffee-shops? Online? If your imagination dictates that church is some place that offers some things, you will likely be frustrated at different points. 7. Read Philip Yancey’s Soul Survivor: How My Faith Survived the Church. I hate to suggest books, but this book changed my imagination concerning spiritual life, church and my own holy discontent with church. Here you will be amazed by people who challenged, loved and hated the church all while being the church in the world. 8. Teach Your Children the Great Stories of Scripture. These stories still speak and reveal God in ways that are profound. Plus, you will hear your children bring forth profound truths about Scripture that never occurred to you. These stories are designed to be lived into, not merely to entertain children. You and your kids will be blessed and changed. 9. Bless Your Pastors. Seriously, I mean it. And I’m not angling for free meals or gifts. But most church members don’t know their pastors (A lot of this is the pastors fault. Many of them are disconnected from the church on purpose). People don’t know their pastor’s hearts and what makes them tick on a personal level. If church members asked their pastors about their rearing, their spiritual journey and what God is doing in them, then sermons and classes would make much more sense. Plus, one of the great ways to deepen your spirituality is to be witness to it in another person. 10. Read The Palmer Perspective. I just thought I’d throw this in. Plus, since you’re already doing it, I wanted you to be able to check 1 of 10 off your list. Does anyone know how to get the vomit smell out of a car? On our way back from central Texas Saturday night, my eldest daughter unleashed a fury of vomit in the backseat. What’s more, she was sleeping when she did it, and didn’t wake up until about halfway through. Poor girl! I still find it hard to believe that such a little body could hold so much gunk! So I spent Sunday afternoon shampooing and cleaning the backseat…yeah, a great Father’s Day indeed! The smell is better, but it’s still lingering. The Spurs did it! I knew they would. I got so tired of LeBron James getting all the publicity and being called the “second coming.” I especially grew tired of the “We Are All Witnesses” line. I wanted to say “We are all witnesses to LeBron getting swept !” James just simply isn’t there yet. He’s not Michael Jordan. He’s not even Tim Duncan, Kobe Bryant, Dwayne Wade, and oh, yeah, Tony Parker! Those guys have rings and don’t disappear in the finals. At the same time, LeBron James turned me into a LeBron James fan. At 22, he handled the finals, bad calls, and all the attention marvelously — unlike Steve Nash’s whining after Phoenix had to play by the same rules as the rest of the league. I was so impressed with him as a person, and will follow him more closely now. One day the league may be LeBron’s, if so, he will handle it well (though he needs to go ahead and marry his girlfriend and mother of his two kids) and be a great centerpiece for the league. My lesson went well at my mother-in-law’s church — by that I mean some hated it and some loved it. It was clear that churches have a long way to go to reorient ourselves to a missional ecclesiology — we’re just so used to thinking of the church first and our community a lot later. I’m learning so much about myself and our churches as I engage this conversation more deeply. This is a great change for some people, and leaders like me need to be understanding, patient, and thoughtful as we undergo it.